Are you curious about how a rock can become a bubbling fountain? It’s easier than you may think. Enhance the appeal of any landscape with the sight and sound of water, without all the extra work of building a pond. 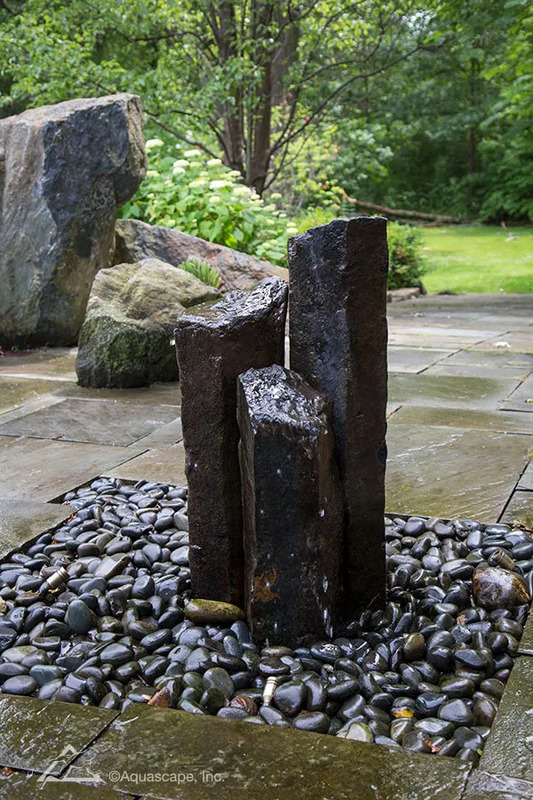 This presentation will guide you through creating a pond-less water feature, using a natural basalt column as an example. Lyngso’s water feature specialist, Jake Persichetty, will demonstrate each step of the process, from start to finish. Learn how to choose the right pump and basin, get installation tips, and take away some fresh design ideas for inspiration. Children: The content of our classes is for adults. Due to attention span, we discourage children from attending our classes, unless the class is specifically for children If your child is a serious garden enthusiast and would enjoy sitting through a 1 to 2-hour clinic, please let us know and we will gladly consider them for the class. Fountainscapes! at LYNGSØ Garden Materials Inc.